You can contact Mr. K at dkrewson@centraladvantage.org. Mrs. Krewson is the Athletic Secretary and does a lot of Mr. K's emailing that helps with the scheduling. Contact her with any sports questions at cbcacougars@gmail.com. CBCA is part of the NYPENN CAC: New York Pennsylvania Christian Athletic Association. 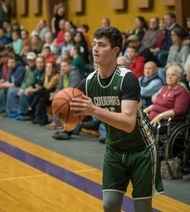 League teams for soccer and basketball consist of Summit Chrisitian, Twin Tiers Christian, Ross Corners, Triboro Christian, Canaan Christian, Triboro and North Rome Christian. Two NYPENN CAC Tournaments are held at the end of each season. CBCA is part of the ESCAL league for Volleyball. This league consists of Baldwinsville, Corning, Cortland, Fingerlakes, North Spencer, North Rome, Syracuse Eagles, CBCA and Emannuel. 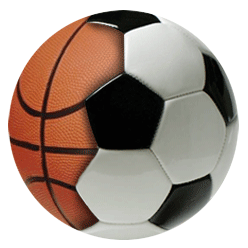 The NYPENN webpage will have all the stats for each team/player for soccer and basketball. Click on the Soccer/Basketball to see how we're doing. Before any student can particiapte in any sport, before they can PRACTICE - they must have the HEALTH CERTIFICATE / APPRIASAL FORM filled out by a physican and turned into the school office. 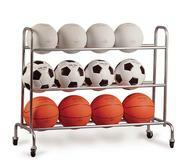 THIS SPORTS PHYSICAL IS GOOD ALL YEAR LONG - FOR SOCCER, BASKETBALL, VOLLEYBALL, CHEERLEADING. EVEN IF YOUR CHILD DOES NOT PLAY SOCCER, BUT WILL PLAY ANY OTHER CBCA SPORT, YOUR STUDENT WILL NEED THIS FORM COMPLETED. 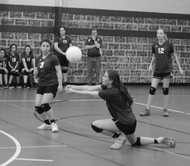 CBCA participates in Soccer (Fall), Basketball (Winter) and Volleyball (Spring). There are both boys & girls teams for each sport.